The sky cleared out so the sun finally came out again and started the big melt.But, the clear sky means that the temperature plummets at night so the ice is sticking around for at least one more morning. We’re getting ready for another night below 15 degrees and school is closed again tomorrow.At least the melting of some of the ice allowed us to make this very small snowman. It’s the first snowman the kids have been able to make here. It’s hard to believe that the last decent snow had been seven years ago. The last really big one happened when I was in college in the dark ages back in 1994! Some pictures from this morning – after the all night on and off ice. The ice really packed down the snow so we only have about 3 to 4 inches now due to the glaze of ice on top of everything.Buried yard raccoon…Frozen Contour…Everything is shiny and bright! Too bad it will be 7 degrees tonight! I thought I would be documenting a huge snow today since the prediction was for up to 12 inches. That did not happen - at least not yet. We have two inches so far and I would rather have 10 more to follow instead of the ice that is falling now. I just walked outside into a steady rain like pouring of sleet. The snow now has a glaze on top and everything that was not covered in snow is coated in ice. All I can hope for now is the power staying on. Luckily, we don't have to get out again until Monday for work. I'm thinking there is no way church will happen. Time to bundle up and hope for the best. I'll attach my YouTube Snow Collection below. Let me preface what I am about to write with this: I’m not against school programs and I do support the kids school. However, sitting on bleachers for almost two hours is pure, unbelievable torture. We had dinner at the school and then had to go and sit in the gym for an hour before the program even began! I remember sitting on the bleachers plenty when I was in school since it seems like I didn’t miss a home football or basketball game for years and I never remember the act of just sitting wearing me out. I always thought the knees were the first things to wear out, but I guess it is actually the buttocks.Enjoy the attached video and be thankful that I edited the whole thing down to just over three minutes for your viewing pleasure. Watch it now before the evil corporately controlled zombies at YouTube strip the music out of it because some egomaniac musician doesn’t want me attaching his/her intellectual property to my home movies. Two farewells in the world of popular culture tonight that oddly share a personal link for me back to September of 1993. Ah, the memories. I was turning 20 and living in Bowling Green, Kentucky attending Western Kentucky University. What a fun, confusing, and surreal time it was. First, Conan said his goodbye to "The Tonight Show" after only seven months. Conan premiered at "Late Night" on September 13, 1993 and I started watching immediately. A lot of episodes of the show starting out were pretty bad but they finally got comfortable toward the middle of 1994. 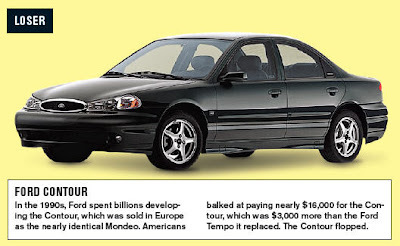 The crazy people at BusinessWeek magazine decided to declare the Ford Contour a loser in a recent article! I am saddened, disgusted, and embarrassed. I know that I look totally cool driving down the road in the Contour. So, in order to counter these horrible lies, I have created a video to let everyone know the true joy that I experience as a Ford Contour driver. Well, I was getting tired of the Conan vs. Leno deal until I saw this early post of Dave sticking it to Leno head on. I am enjoying it just as much as Dave appears to be. It took right over 5 hours to get home from Atlanta. I also left about 2 hours later than I expected to. So, I hit just a bit of traffic. The drive from Atlanta is just plain exhausting. It’s weird that I used to enjoy driving long distances but now it just wears me out. Anyway, I can’t complain. I made it home. I unpacked. I ate. I got to watch “Chuck”. And, I don’t have any urgent trips on the horizon.In other news, it appears that Conan is going to get a slight mea culpa from Jay tonight:http://www.tmz.com/2010/01/18/jay-leno-conan-obrien-the-tonight-show-nbc-monologue/In other other news, I am watching too much TV. I’m burnt out on the Jay-Conan deal and just wish they would settle it with a game of laser tag on live TV.I’m just ready for sleep. Maybe I’ll have something creative to write tomorrow. Your definition of “breaking news” and my definition of “breaking news” appear to be at odds. Who is winning Golden Globes is not “breaking news”. It barely even qualifies as news. I thought I had subscribed to a “Breaking News” feed from the Cable NEWS Network and not from Entertainment Weekly or Variety. …then Atlanta is the place for you.It is pouring here in Atlanta tonight. It is odd, you may think, for me to be travelling for work on a weekend. I would agree but we are switching over some computer equipment and the best day for this is a day where no production typically happens and unfortunately, the clearest day is Sunday. Fortunately, I work with people that have a good plan in place and things are looking quite good. I like the fact that I feel confident about the change and it is a big one and a better one. So, I am not disappointed to be here because I think it means good things for our company long term.The drive down was a wet and nasty mess. It poured and poured but the Contour got me here in one piece. Don’t doubt the fantastic 1999 engineering.And, I’m about to settle down and get some sleep. 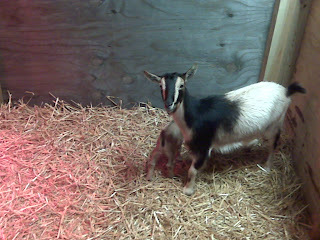 And, in even better news, I will be home Monday evening! This is my shortest and most productive trip in years. All good here in Atlanta. Good night! What a weird week. When we started the week, the big news was Conan vs. Leno. Then, as Haiti collapsed, so did the University of Tennessee football program. Another busy day around the home office today but it is finally winding down. I am also at the start of a sinus headache so that's even more unexpected fun. It stinks to feel decent at work all day and then feel like crud at night. On that note, I will take the easy way out and share Conan's message today that let us all know he would not accept a 12:05AM "Tonight Show". I've been watching Dave and taping Conan and I really think NBC is blowing it here. 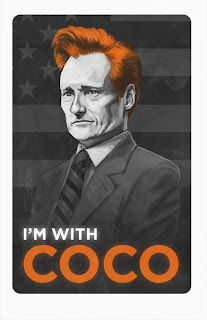 Conan has really found his groove and it's a shame that NBC/Comcast will throw that all away. But, Comcast is probably on the verge of dismantling the whole thing anyway. It will probably end up being just another superstation when all is said and done. Notice that the title is Monday! not "Monday Monday" or "A Case of the Mondays". Why is rare happiness associated with this Monday in particular? Today, it is above freezing! 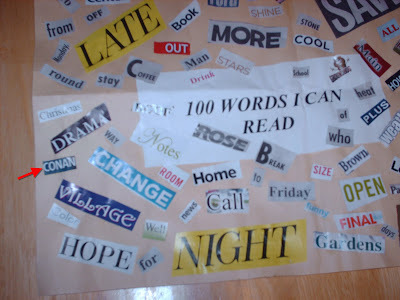 It has been most of the day and still is even as I write this. Of course, the gutters keep puking ice and the loud noises resemble someone climbing on the roof. Second, school was in session today! Everyone to the north and east of us wimped out but our schools came through for me before I suffered the first nervous breakdown of the new decade. 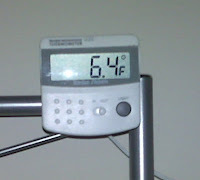 Of course, most things are still in various states of freeze. The lake is still iced over and this is enough for the television stations to be repeatedly warning everyone not to try to walk out on the ice. They even had to say that just because the ducks are out there walking around that we should not try it. Hmmm - if a 7 pound duck can walk out there, surely a 190 pound man can! Movies: "Ghosts of Girlfriends Past", "The Ugly Truth" and "Paper Heart"
Oh, Redbox - you make it so easy for me to spend a dollar and watch movies I would have never paid full movie ticket price to see. You curse me. Actually, you cursed me twice this weekend. Unfortunately, I paid 6 whole bucks for this first stinker. First, "The Ugly Truth". Let me lay this out as simply as possible - it is one of the worst things I have ever sat through. It was painful at times. I'd rather be numbed into a stupor but this was so bad I actually had to get up and walk around the room. The story - the acting - all bad. Worst, I felt myself hoping that no one actually thinks like these people think. You can't have buy-in with the characters because she has no common sense and he is an all out egomaniac. I guess that's all you need for true love. Worth 25 cents of the 6 dollars my wife insanely spent by renting this on pay-per-view. I am blaming the poor decision making on her post-surgery pain-killers. A couple of videos today to share some of my recent song "rediscoveries" thanks to XM radio. First up - Rock of Life by Rick Springfield. This one is from the spring of '88 and I have a weird memory that I still associate with this song. I was in 9th grade and we went to downtown Nashville for some sort of school trip. I can't remember what we did - must have been a play or the museum. I do remember it was a rainy day. We're on the bus heading out of downtown and this very skinny and tall black gentleman was walking down the street. He looked like Kid from Kid 'N Play and dressed in the finest pastel colors of the day with white pants. He was a great target for a bus full of freshman. Everyone was waving and hollering and he turned and smiled really big and gave us all the finger. It's appears that NBC's habit of burning each and every host of the show that follows "The Tonight Show" is live and well. David Letterman : Host of "Late Night with David Letterman". 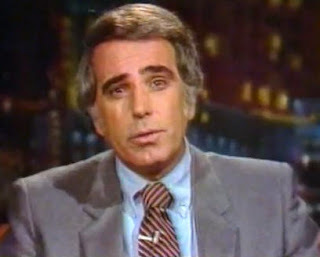 Cheated out of the "Tonight Show" job by NBC and Leno in 1992. Of course, now Jay Leno is fussing about NBC not honoring a contact. Talk about the pot and the kettle. But, Jay always wins. Ask our next contestant. A typical Tennessee snow day means you barely get any snow. So, you have to make the most of what you get. Even the lawn decorations seemed annoyed. But, since Mother Nature knows I need to drive in to Nashville for an 8AM appointment, it is now snowing like all get out. And it is supposed to be 14 degrees with a wind chill of -10 tomorrow morning. 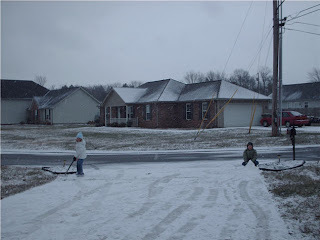 Snow day - fun for kids, lousy for adults. Updated! That's all the snow and school is already out for tomorrow. I guess with the 9 degree low expected tonight, there is a small fear of ice in the morning! 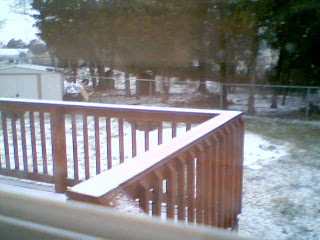 I'll keep the snow cam up just a little longer until dark but I believe we've seen the last of the snowflakes.